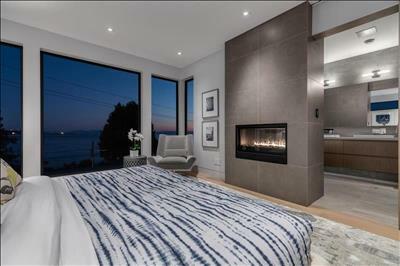 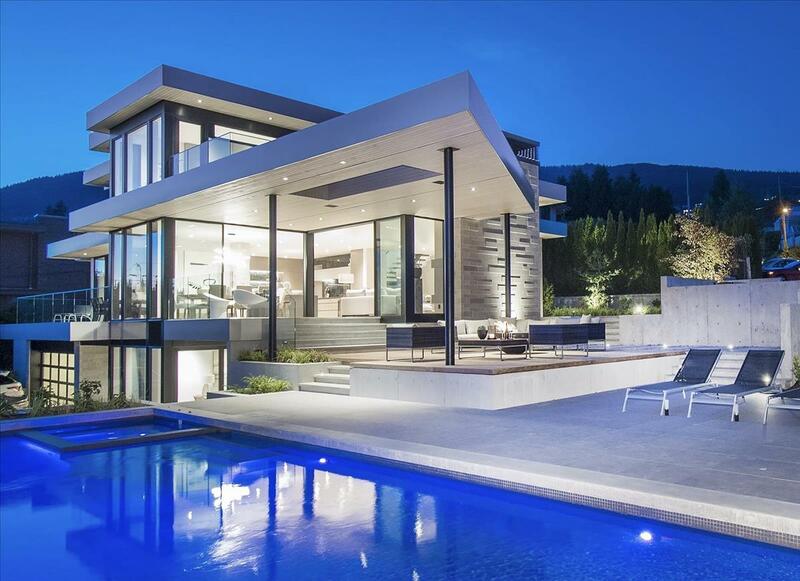 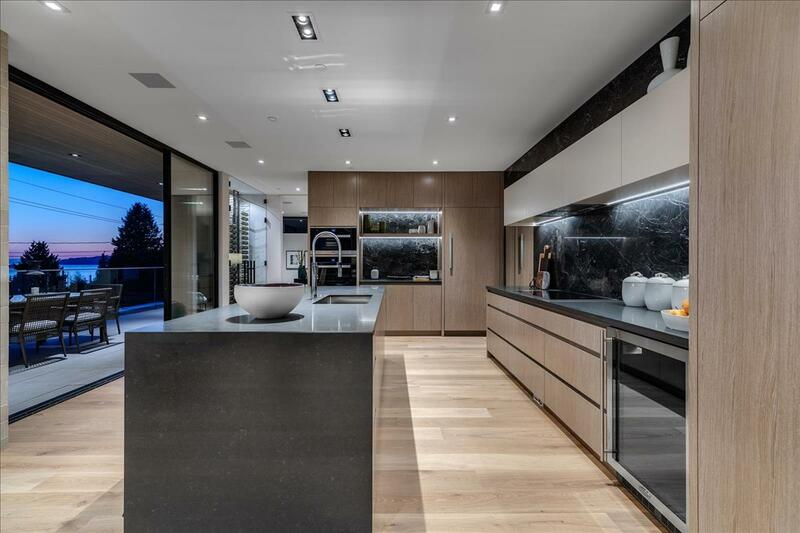 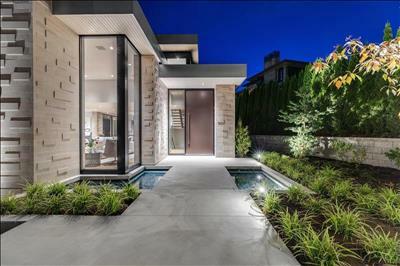 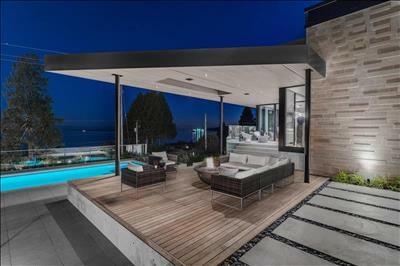 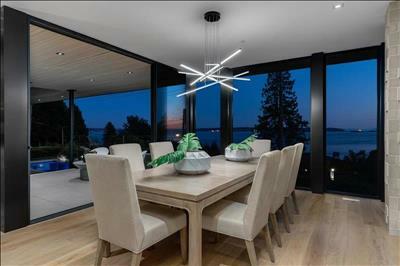 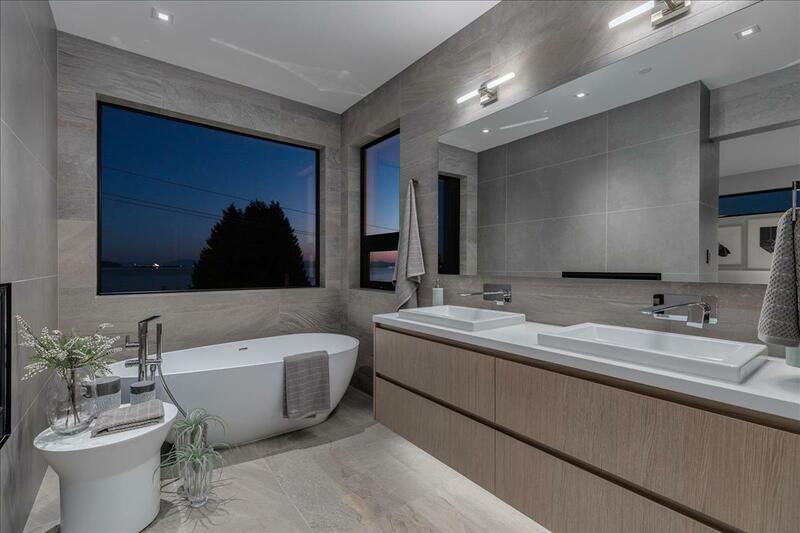 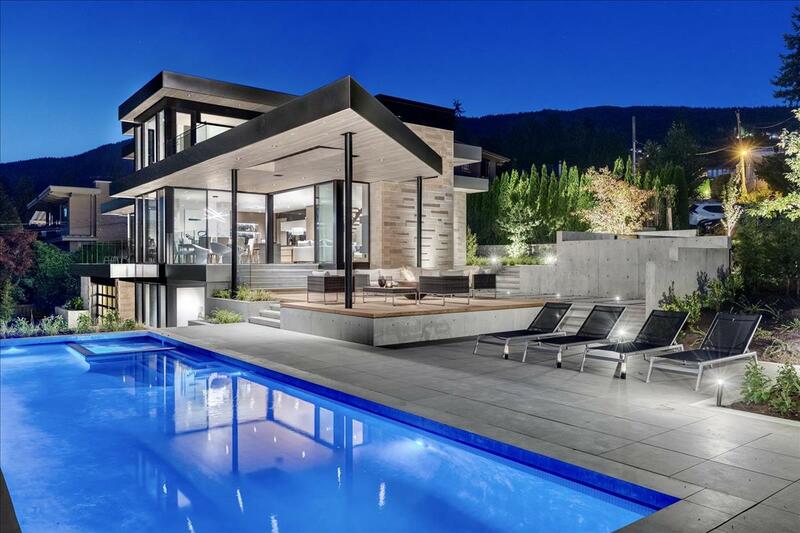 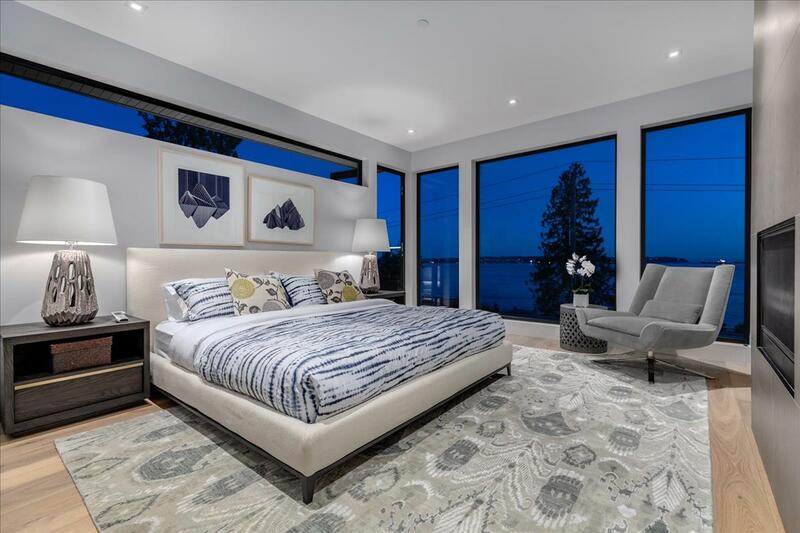 This extraordinary, recently completed, modern semi-waterfront estate residence is situated just steps to the beach and Dundarave Village boasting spectacular, close-in, ocean & island views to Vancouver Island. Designed by Award Winning Home Designer Craig Chevalier and built by Master Builder Bradner Homes this extraordinary and brilliantly designed custom built residence is uniquely positioned on a prized almost eleven thousand square foot level corner property providing spectacular views of the water and West Vancouver shoreline. 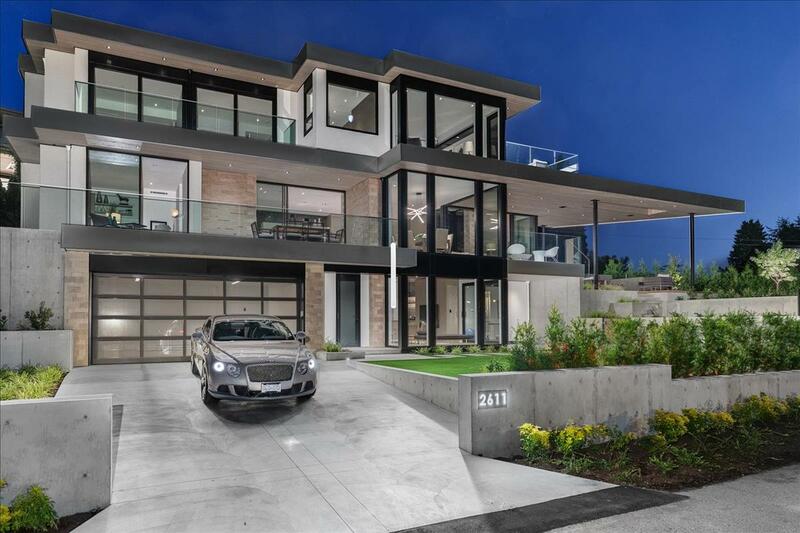 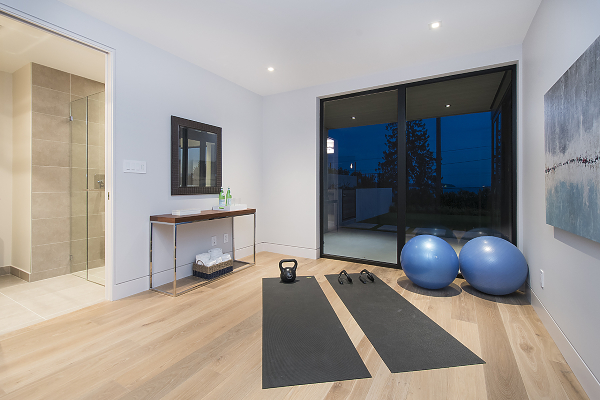 Clean, contemporary, modern and inviting with spectacular views through vast walls of glass and fold away doors that provide an incredible indoor out door lifestyle while the high ceilings create dramatic, voluminous, spaces for exceptional comfort and ambiance. 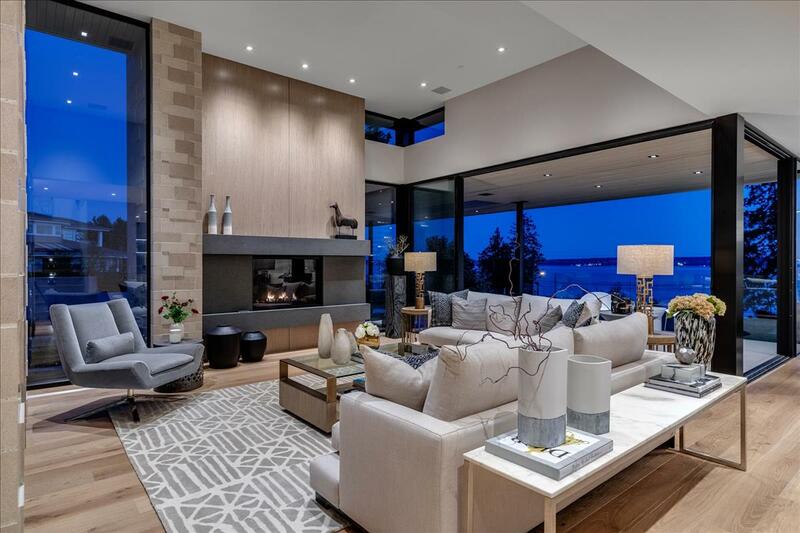 The home is bright and open, fully appreciating its awe inspiring location. 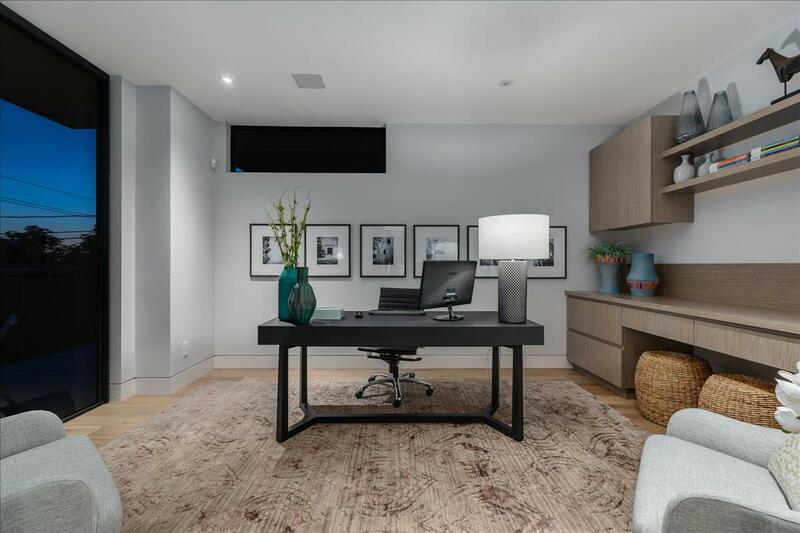 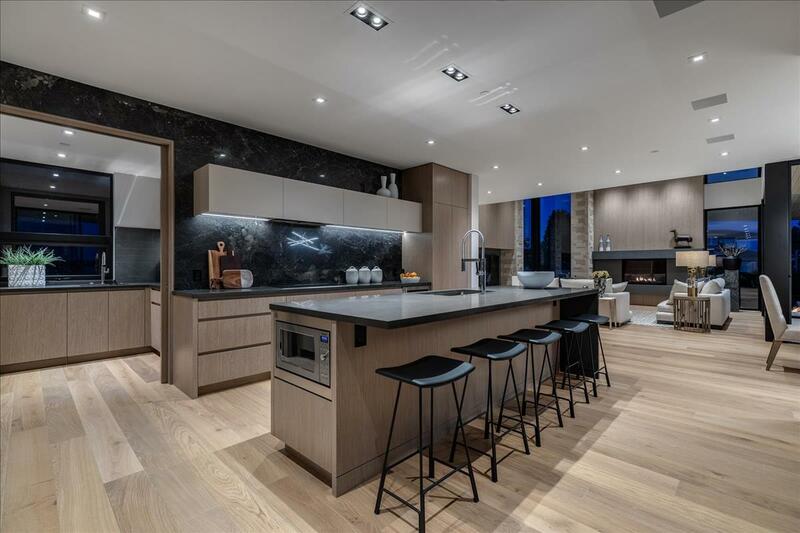 A large entrance hall leads to entertainment size principal rooms featuring 10 ft ceilings and feature fireplace, formal Dining Area for up to 10 guests and a stunning Kitchen boasting all MEILE appliances and a large entertainment size island. 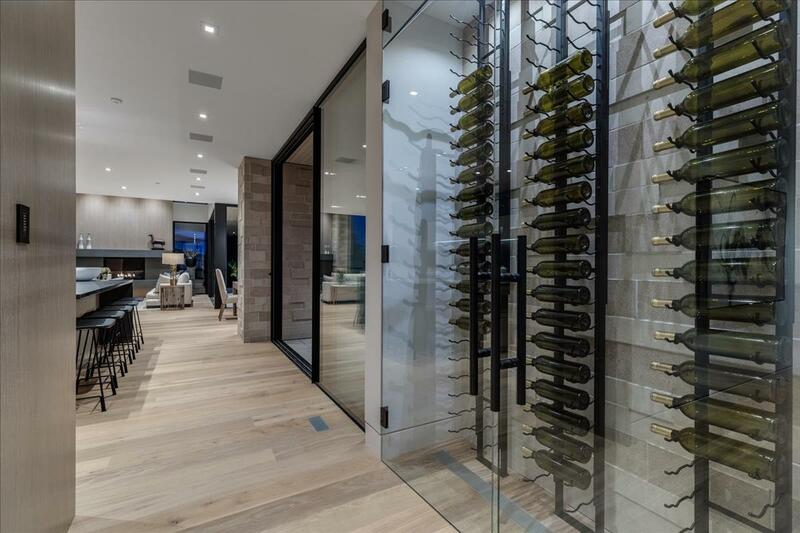 An adjoining temperature controlled glass wine storage, private Study or Den and a fully equipped second kitchen are all ideally and conveniently situated. 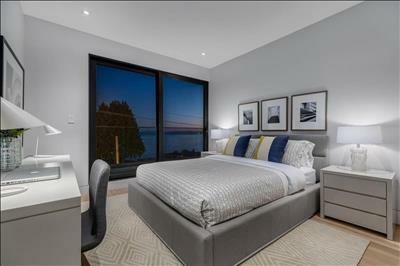 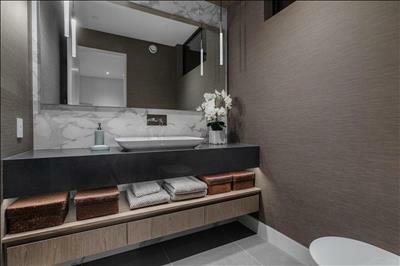 On the upper level an exceptionally large Master Suite with private water side terrace features a walk in dressing area and beautiful private bathroom that simply must be seen to be appreciated. 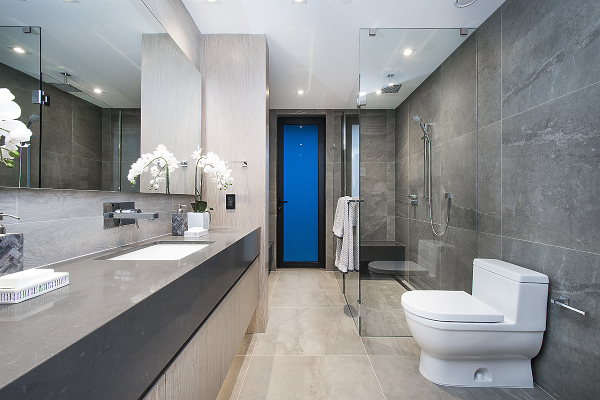 Two additional bedroom suites on the same level provide suitable accommodation for children and guests. On the lower garden level a wonderful entertainment size recreation room with built in flat screen tv, full wet bar and adjoining exercise gym with full bathroom. 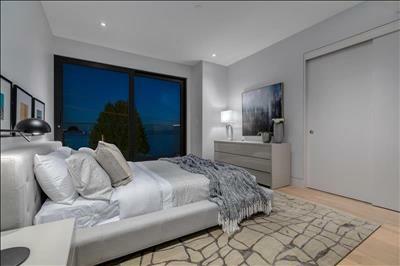 An additional lower level bedroom is privately situated for a housekeeper on nanny. 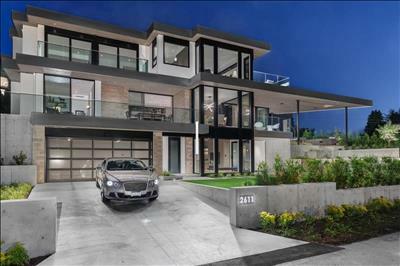 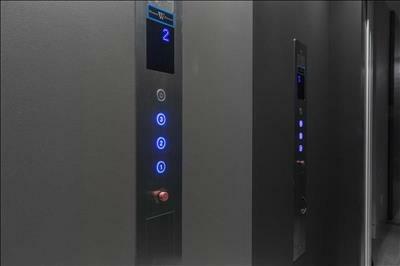 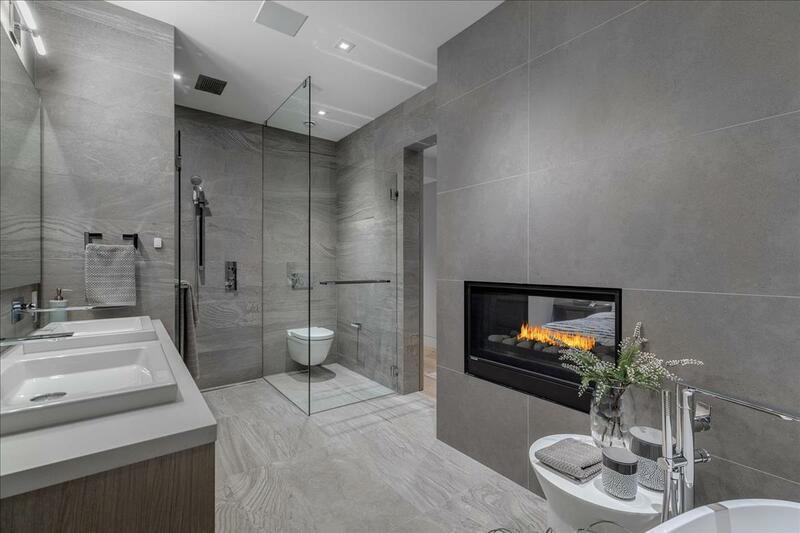 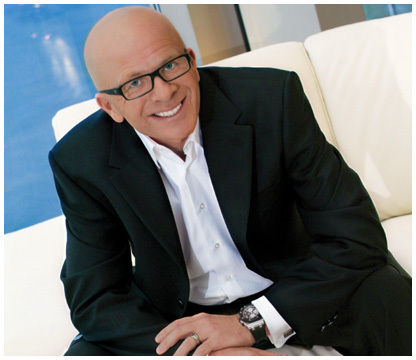 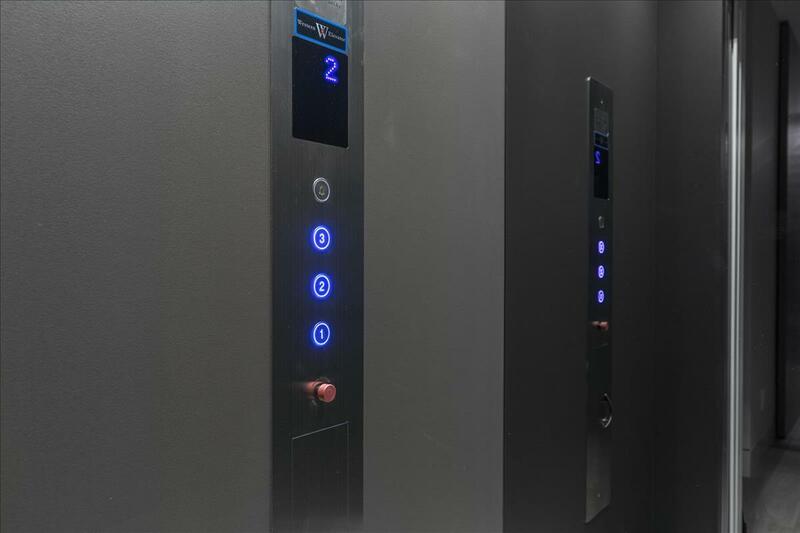 Many additional features of this extraordinary luxury residence include extensive concrete, steel and glass construction with Indiana Limestone detail, a private elevator to all three levels, PANORAMA windows, SAVANT integrated lighting, security and smart home automation together with air conditioning and two car garage. 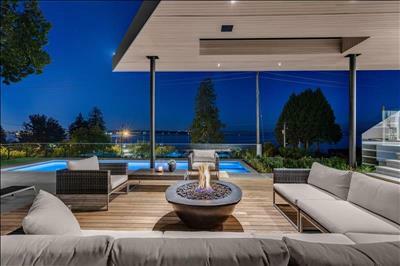 The entire property has been professional landscaped by Forma design and is beautifully illuminated at night-time with dramatic effect.